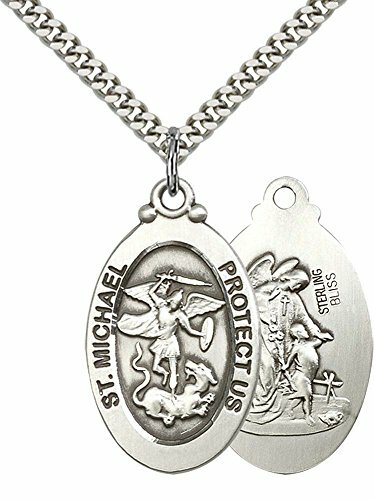 Sterling Silver St. Michael the Archangel Pendant with 24" Stainless Silver Heavy Curb Chain. Patron Saint of Police Officers/EMTs. Includes deluxe flip-top gift box. Medal/Pendant measures 1 1/8" x 5/8". CTR Shield Links Bracelet – a Great Gift for Your Young Women, or Women of Any Age.